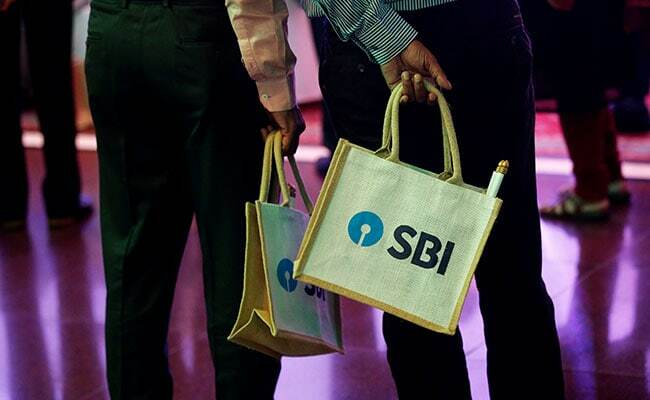 SBI posted a multi-fold jump in consolidated net profit for the second quarter that ended on September 30. New Delhi: Shares of State Bank of India (SBI) surged 7 per cent on Friday, after the company posted a multi-fold jump in consolidated net profit for the second quarter that ended on September 30. The stock soared 6.99 per cent to Rs 335.70 on the Bombay Stock Exchange (BSE). At the National Stock Exchange (NSE), SBI shares jumped 6.71 per cent to Rs 334.75. The stock was the top performer among the blue chips on both the indices during afternoon trade. The country's largest bank posted a multi-fold jump in consolidated net profit at Rs 1,840.43 crore for the second quarter ended on September 30, boosted by sale of its stake in SBI Life Insurance. Its profit was just Rs 20.70 crore in the corresponding quarter of the last financial year. On a standalone basis, SBI's profit declined 37.9 per cent to Rs 1,581.55 crore, from Rs 2,538.32 crore on account of a rise in bad loans. Total income on a standalone basis increased to Rs 65,429.63 crore in July-September 2017 against Rs 50,742.9 crore in the corresponding period a year ago, State Bank India said in a filing to stock exchanges. At 2:28 pm, SBI shares were trading 5.69 per ent higher at Rs 331.60 apiece on the BSE, whose benchmark Sensex index was down 27.06 points, or 0.08 per cent.